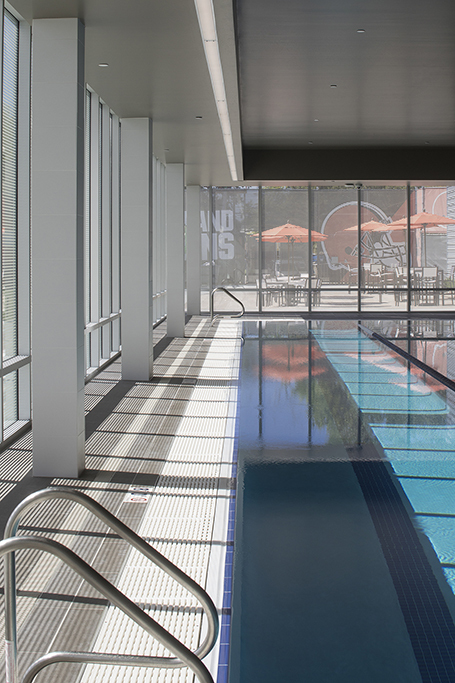 The renovation of the Browns training facility ensured the team would be practicing in Berea for years to come. Undergoing a 40,000 sq. ft. renovation and 25,000 sq. 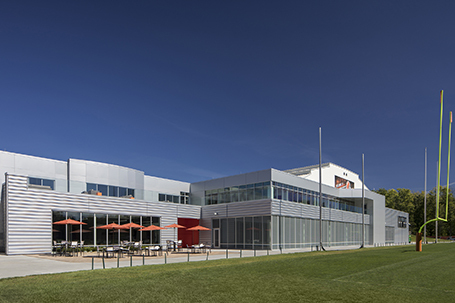 ft. expansion, the facility debuted its updates in August 2016. 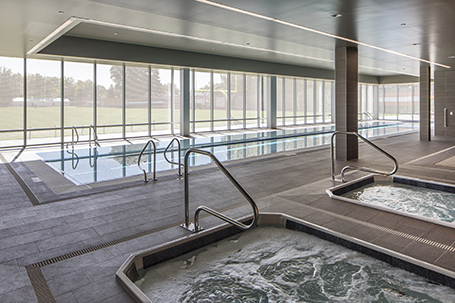 Evolving with new science, the Brown facility features hot and cold plunge pools to speed up muscle recovery and rehabilitation. The two lane lap pool is also designed with the players in mind, including one lane of shallow water and one lane of deep water along the full length of the pool. Taking into account the size of the players, the design features thicker gutter grating to accommodate the additional weight. In addition to top-caliber amenities, the remodeled space houses 60 offices, 90 work stations and in-house radio and video broadcast studios for digital-content creation.